Cricket is a team game. But the 2nd Semi-final of ICC World Twenty20 2016 will be more of individual players taking on each other than the whole team. The contest on paper might look between India and West Indies. But Chris Gayle vs R Ashwin and Virat Kohli vs Samuel Badree will emerge as the centre stage. Leave aside all the names, there are two main points to this game. An off-spinner bowling to a left-hand batsman is exciting to see. Similar is the case when a leg spinner bowls to a right hand batsman. The first point will hold true if the Gayle storm arrives in Mumbai. If it happens, not only the city but the whole country might get affected. Such is the supremacy of the big man. The Director General of the Meteorological department in MS Dhoni will have only one option to stop it, i.e., R Ashwin. He has had the better of Gayle in the past. From dismissing him to restricting him, both have been a walk in the park for Ashwin in all T20Is. The second point might not be the most popular rivalry but it is a contest between India's best batsman and West Indies' best bowler. Virat Kohli bats at No. 3 and Samuel Badree bowls in the powerplay. There is every possibility that both will face each other at some point of time. Kohli had got out to Ish Sodhi's wrist spin in India's first match vs New Zealand. Whether he will continue his exceptional run against T20I cricket's most economical bowler will be interesting to see. The home team finished second in Group 2 below New Zealand and all credit goes to their loss against them. It was more than just a loss for India when they got bundled out on 79. Labelled as 'Favorites' at the start of the tournament, it was an eye-opener for MS Dhoni and his men. They did their home work against Pakistan and beat them by 6 wickets. All the 3 results were possible against Bangladesh. Such was the rigidness of the match. But India managed to draw out a victory. 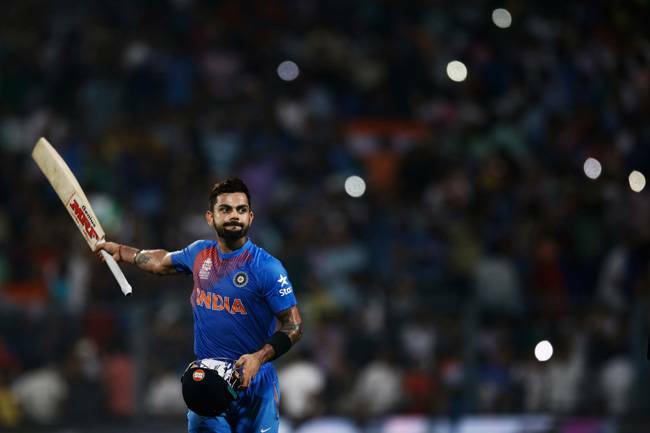 In the eventual Quarter-final against Australia, a Kohli masterclass led them to another win. The team will definitely be high on confidence after three back to back wins. Virat Kohli will again hold the key for India. India has big names in the batting department. But runs are what count on paper and not mere names. With the kind of captain Dhoni is, you don't expect him to change the side before a Semi-final of the world event, which would give yet another chance to Shikhar Dhawan. He along with Rohit Sharma must be feeling the itch to score big runs at the top of the order. Not just the openers, the middle order has been found wanting as well. Suresh Raina has brought disrepute to his T20I career. Seldom does he fail in this format. 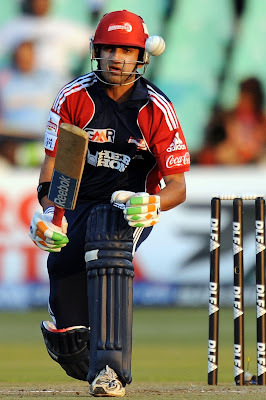 Yuvraj Singh played crucial innnings in the tournament but an ankle injury has forced him out of the side. Manish Pandey has been names as replacement but who out of Pandey and Ajinkya Rahane will play is a big question. In the bowling section, Ashish Nehra will have to bring all his experience into play. After his comeback, he has time and again proved that he still is an asset to the team even at the age of 36. Moreover, Ashwin needs support in the powerplay form the other end as well in order put a full stop in front of Gayle's inning. Jadeja needs to 'Keep it simple', and that is what he usually does. Jasprit Bumrah will have to fire those yorkers at the death, considering the fact that West Indies has some lethal hitters of the cricket ball down the order. Indian team looks a whole different side when they get a good start from their openers. Rohit Sharma will have to come good in the big match. If he starts well, the batsmen to come will have a foundation to play big shots on. Furthermore, over dependency on Kohli in all the matches is not a good sign for others. Some one will have to take responsibility incase Kohli experiences an off day and who better than Rohit can do it at the top of the order. They had won back to back matches against all test playing nations (England, Sri Lanka and South Africa) but somehow managed to fall flat against Afghanistan. A loss is a loss but this one should not hinder their morale especially when they have topped their table. T20 format comes natural to them and having T20 specialists and whole lot of all-rounders is their tenacity. What Kohli is to India, Chris Gayle is to West Indies. They were expected to be over-reliable on him but Andre Fletcher proved it wrong during their game against Sri Lanka. Fletcher may have been out of the tournament after injuring his hamstring but his replacement, Lendl Simmons will be playing on his home ground as he plays for the Mumbai Indians in the IPL. West Indies will look to play aggressive cricket against India. Chris Gayle will be their stalwart in batting. If he gets going tomorrow, half the job is done for their batting division. Senior players in Marlon Samuels, Denesh Ramdin and Dwayne Bravo will have to lay a platform for the lower middle order to explode. The West Indian batting is boosted with the presence of all-rounders, which take their batting to all the way till No. 9. The depth is there, all they need is the width. Andre Russell, Carlos Brathwaite and captain Darren Sammy can all hit the white kookaburra to all parts of Wankhede but they must also be able to play the steady game if the top order fails. Samuel Badree will lead the bowling department. He and Sulieman Benn will be the only specialist bowlers in the playing eleven unless Jerome Taylor is given a go. Most of their bowling duties will be shared by their all-rounders. Andre Russell and Dwayne Bravo have it in themselves to contain any batsman in the world. Darren Sammy and his men will be looking to hurt the already depleted Indian batting. If the top order fails, Indians have the knack to crumble like a deck of cards. In such a scenario, Samuel Badree will have the most important role to play. If he can get rid of Rohit and Kohli cheaply, India will be in a huge spot of bother.